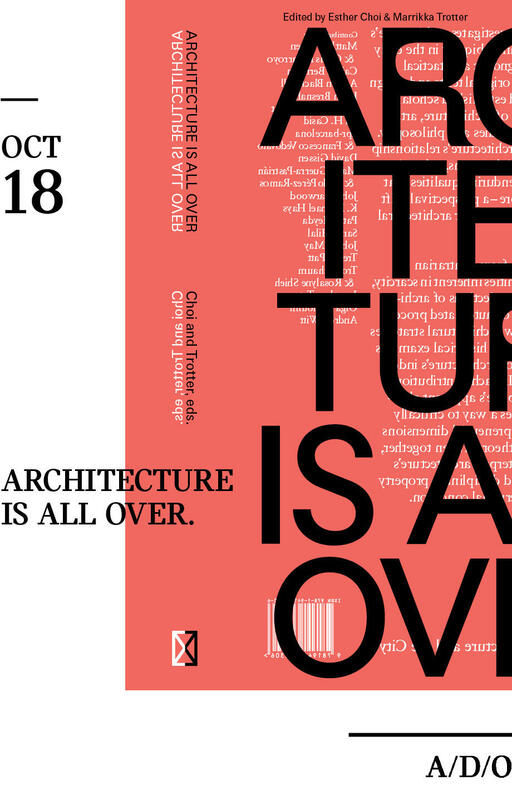 During Archtober, editors Esther Choi and Marrikka Trotter will launch their book "Architecture Is All Over" (Columbia Books on Architecture and the City)–– a diagnostic and tactical guide which surveys architecture's simultaneous diminishment and ubiquity. Contributions range from "contrarian investigations of the opportunities inherent in scarcity, bureaucracy, and banality to projections of architecture as a mediatic practice or automated process." Contributing architects Troy Schaum and Rosalyne Shieh of Schaum/Shieh to join Choi and Trotter in conversation. Free and open to the public, refreshments to follow. In The Shop, on October 18 from 7-9.